Over Christmas, we were travelling to the US to visit family. I was manically crocheting in the weeks leading up to it, and even finished some of the last gifts only on the flight there. Turns out, you get less weird stares than expected crocheting in the middle of the airport. All went well, people loved my gifts and my arm was appropriately sore from all the crocheting. Then I fell into the post-Christmas hole. All the gifts were gifted, all the yarn was used. What was I supposed to do now? But then the family came to the rescue. Turns out my husband’s stepmom is an avid crocheter as well and had tons of yarn at her house that she didn’t know what to do with. Heaven! It was obvious that my little holiday project was quickly turning into something much bigger. 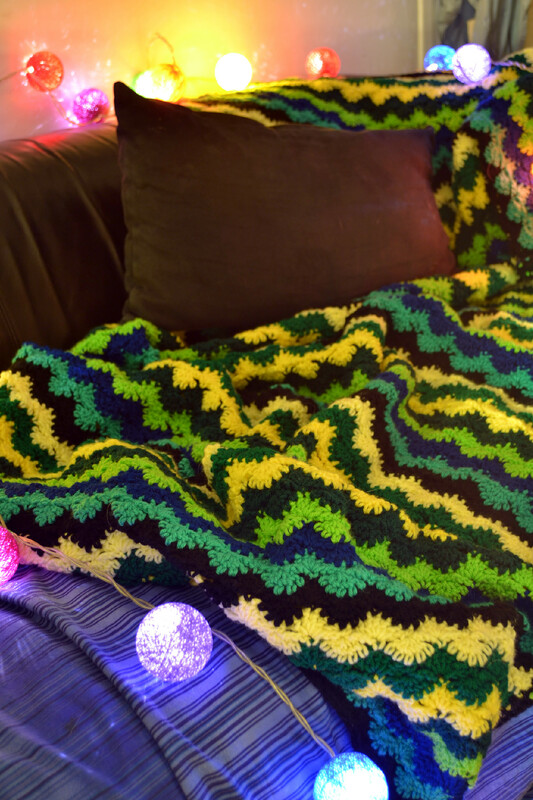 I had actually never made a crochet blanket before, as I found the sheer volume of work a bit daunting. But I couldn’t not use all that colourful yarn. So I picked a pattern and went to work. 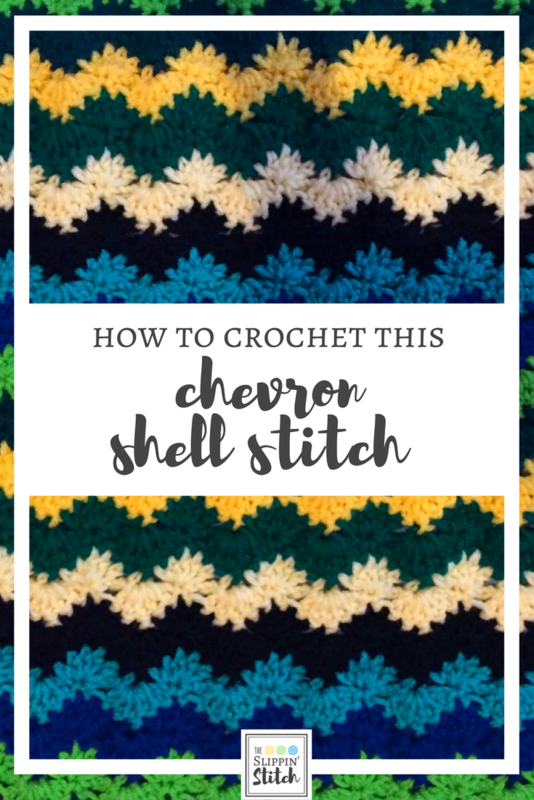 First I couldn’t decide whether I wanted to do a chevron design or a shell stitch, but I found this great pattern which pretty much combines the two. The crochet pattern was a copy of a pattern my husband’s stepmom had at her place, but here are the instructions to the stitch. I have no idea what this stitch is called. If you do, please let me know in the comments! Continue until you have 6 loops on your hook. Yarn over, pull through all 6 loops. I did this all the way until I knew the blanket will cover me all the way from my feet to my nose. I then gave it a border of one round of black half-double crochets. Get the monthly roundup of all our latest crocheting shenanigans straight to your inbox.